Taste the Best of Summer and Fall with Grilled Ribs - Thanksgiving Style! Home Recipes & FoodDinner	Taste the Best of Summer and Fall with Grilled Ribs Thanksgiving Style! Are you ready for fall? If you’re like me, all the sounds and smells of a new season bring lots of excitement – and recipes! Grilling is seemingly synonymous with summer. 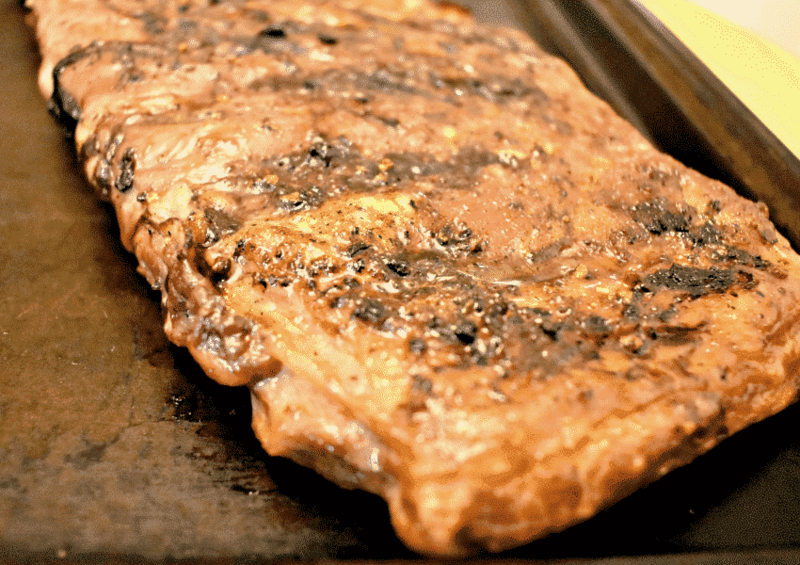 But today I’m sharing how we used our grill to enjoy the best of my two favorite seasons with some grilled ribs Thanksgiving style! All you need is some delicious meat, like Smithfield Extra Tender Fresh Pork St. Louis Style Spareribs, and a few holiday favorites to welcome fall and fill your belly. I shopped for my ingredients at Food Lion and found everything I needed! These tasty ribs aren’t frozen so be sure to find them in the refrigerated section of the store (mine is in the back). My family loved the combination of grilling with a bit of fall flair. We had a great summer but I think we’re all ready to welcome a new season. I love grilling because my husband and I divide and conquer. While he was grilling our Smithfield Extra Tender Fresh Pork St. Louis Style Spareribs along with some green beans and garlic, I made homemade stuffing and two-ingredient pumpkin spice muffins in the kitchen. The result? One big happy family. 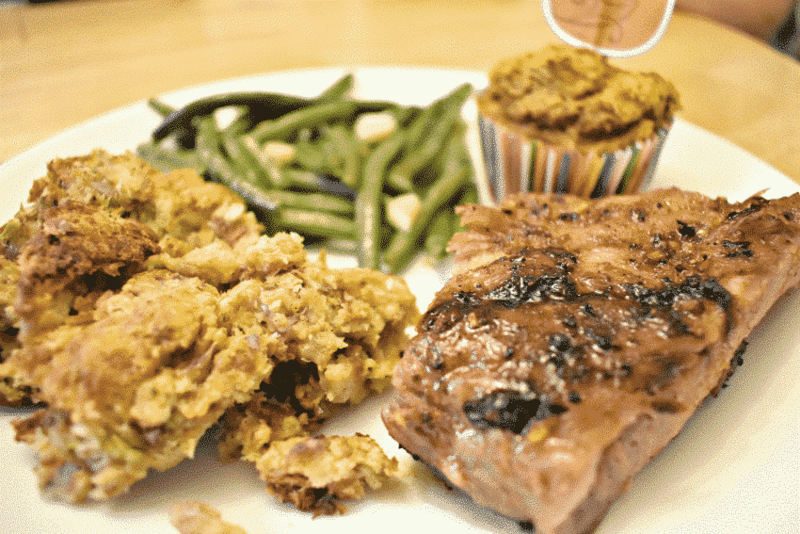 Everyone loved this simple and delicious meal and even asked for seconds! 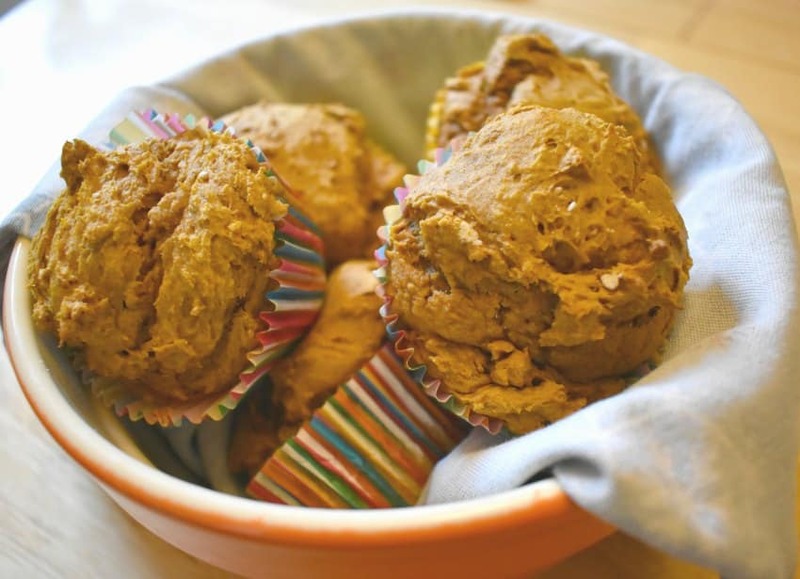 The other big hit for our pumpkin-loving family were was this two ingredient pumpkin spice muffin recipe (if you can call it that). 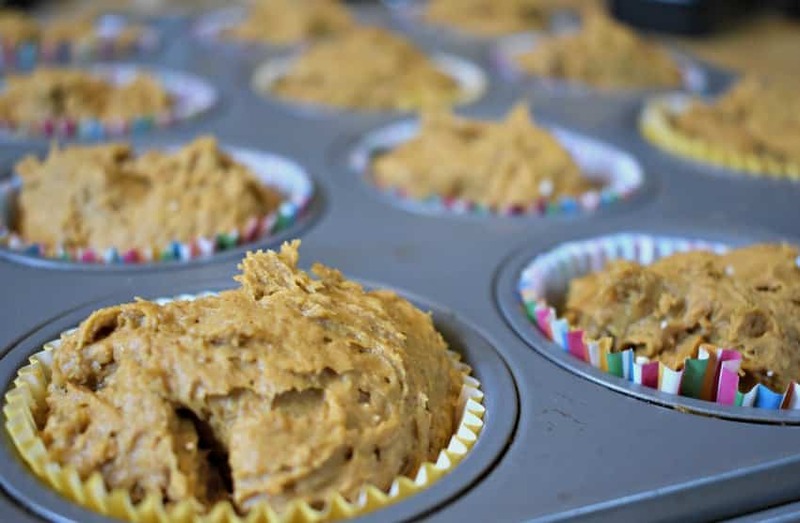 All you need is a box of spice cake mix and one can of pumpkin and before you know it, you’ll have a dozen delicious muffins! Seriously though, just mix the two ingredients together, pour in a muffin pan and cook for 20 minutes (or until done) on 350. So good! 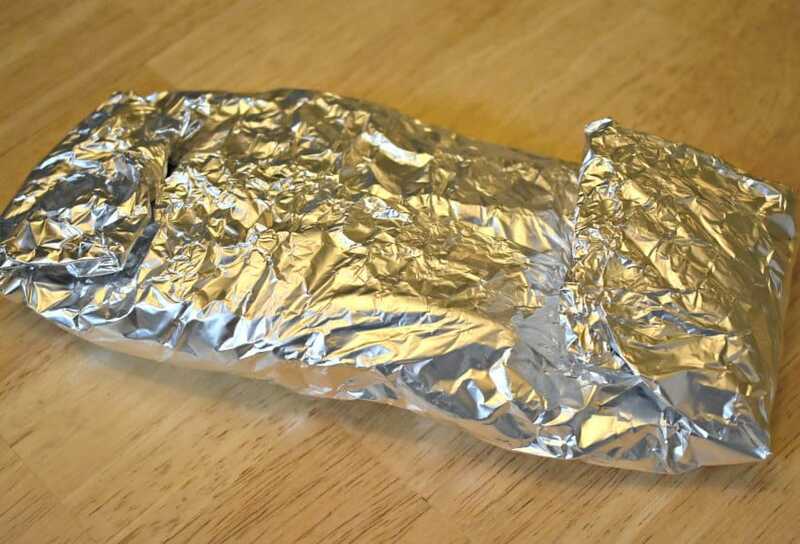 While the meat was cooking, I wrapped up one of my favorite sides in foil. 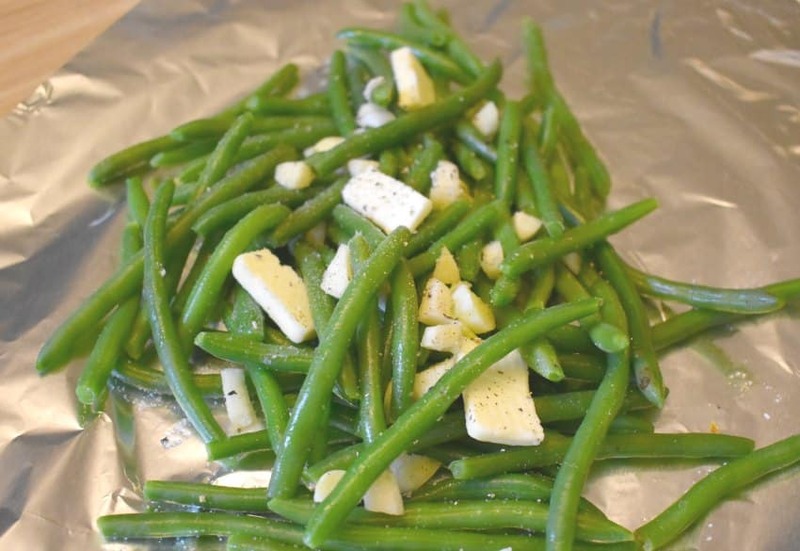 I love grilling green beans with big chunks of fresh garlic and butter. It’s simple yet so delicious! Of course you can swap out just about any vegetable for your favorite taste of fall. Then, pop that little veggie packet on the grill for the last 10-15 minutes of grilling for great results! 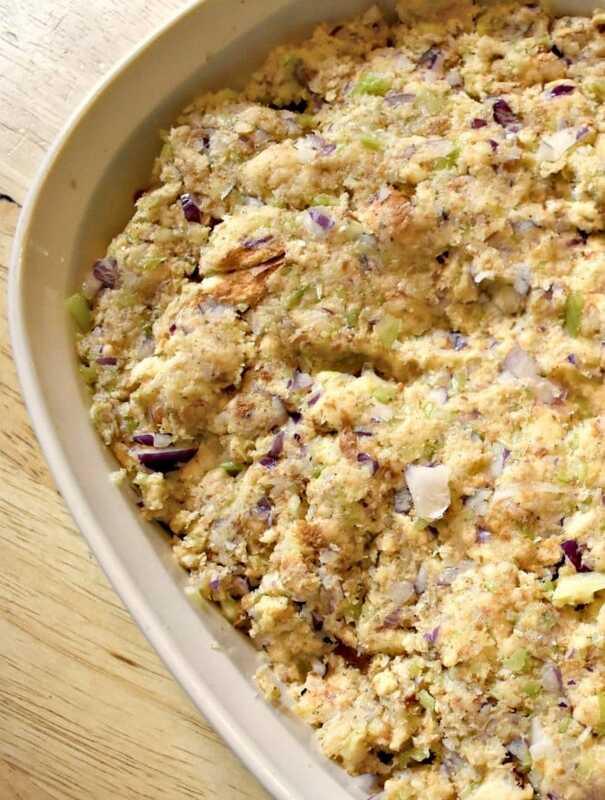 Finally, for a little extra Thanksgiving flair, I made my family recipe for homemade stuffing (a box mix would also work if you need to save time). It was a great way to balance out the sweetness of the muffins. To be honest, I wasn’t sure how stuffing would compliment the Smithfield Extra Tender Fresh Pork St. Louis Style Spareribs, but I have to say it was a delicious combination of flavors! Once it was time to feast, we couldn’t wait to dig in. 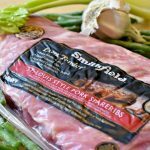 Because you’ll want to give your Smithfield Extra Tender Fresh Pork St. Louis Style Spareribs plenty of time to cook, this would make an awesome Labor Day or weekend meal. And if you have a cool weather day, even better! 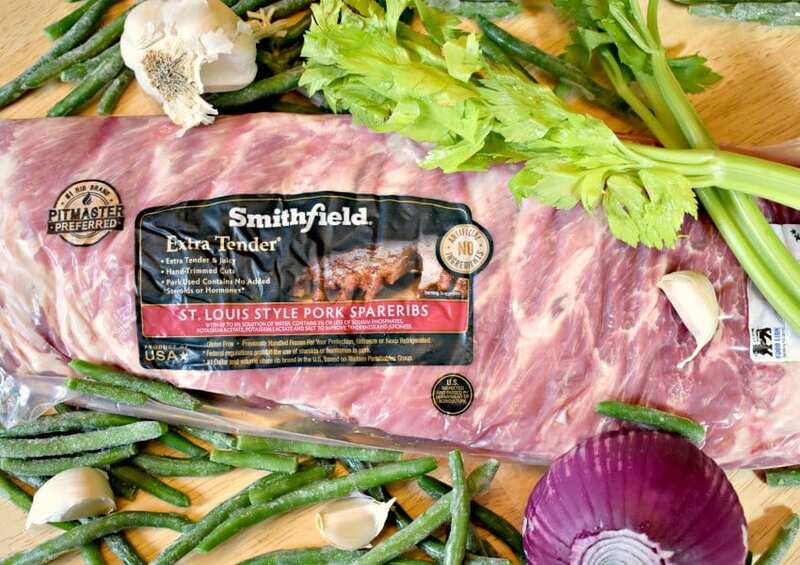 Before you shop for your Labor Day treats, make sure you grab a $1.00 off coupon on Smithfield Extra Tender Fresh Pork St. Louis Style Spareribs to use at Food Lion. What are your Labor Day plans? Will you be grilling? Smithfield Extra Tender Fresh Pork St. Louis Style Spareribs are available at Food Lion. Check out all of the Smithfield products on their website and be sure to follow them on Facebook, Twitter and Instagram for more great recipes!